The Avocent SwitchView IC KVM switch (SVM200) eliminates cable bulk by combining a KVM switch and built-in 8-foot cable into a single unit. Easy installation lets you quickly control multiple computers from a single keyboard, monitor and mouse using a hotkey sequence or by push-button. 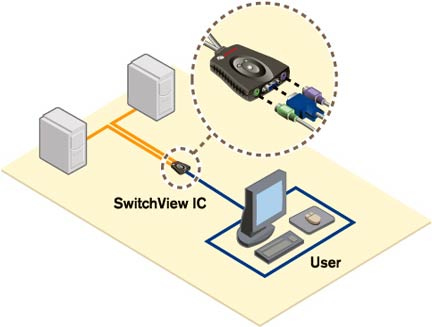 The Avocent SwitchView IC KVM switch (SVM200) also supports larger monitors with higher video resolutions and refresh rates. Question: what would be a good replacement for this switch?